Welcome to Dryhill, a discreet 17th century Cotswold retreat perched high on the escarpment in an area of outstanding natural beauty. Feel free to visit the dedicated Dryhill Weddings website for more of an insight. Our accommodation has been described as Cotswold contemporary in style and all rooms are furnished to high standards. We even have a private honeymoon haven for your wedding night. 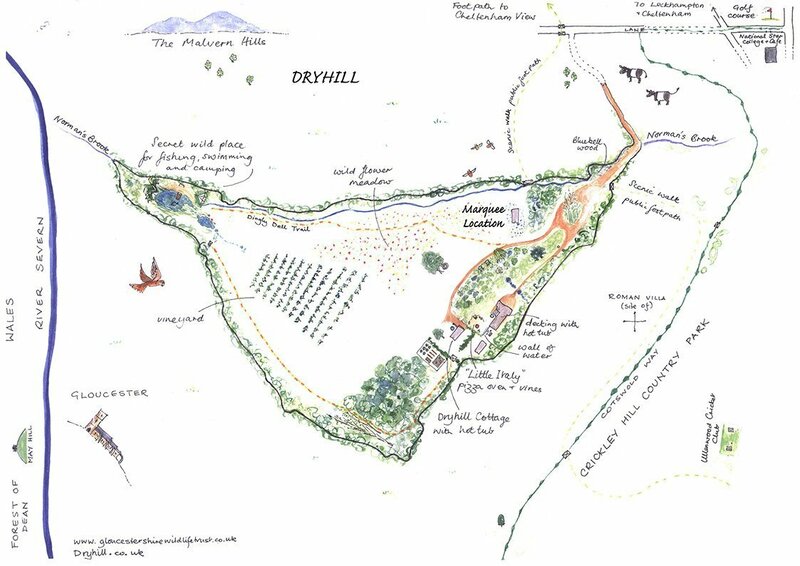 Only available for a select number of events per year, Dryhill has peace and privacy with stunning views for over 40 miles. You are welcome to enjoy our 14 acres on an exclusive basis between May and September, giving you space to breathe in this idyllic Cotswold setting. 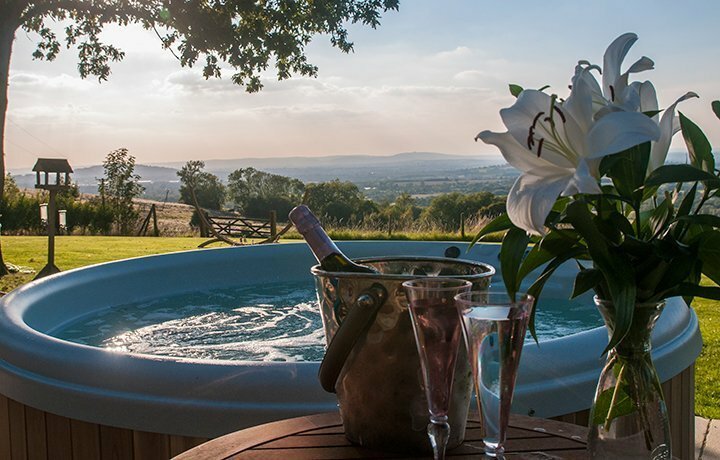 You can relax in the Roman vineyard, wonder down to the private lakes for cocktail sundowners or spend lazy evenings in the Italian garden with its Valoriani wood fired oven – perfect for an arrival party! There are so many options for romantic photographs and a chance to escape for some private moments that other corporate venues simply cannot offer. For your chosen marquee and its facilities, we have a perfectly flat, tailor made, grass area with spectacular views: perhaps the finest of any wedding location in the Cotswolds. To support you throughout your unique occasion, we provide an experienced Events Manager, Anna Byass, dedicated to helping you enjoy some magical days at Dryhill. We also include your own personal styling guru, to help with all aspects of bridal party presentation and make-up, to further enhance your stay. And you can download the Dryhill Wedding Brochure here.